Enjoy the dazzling talent of our full orchestra of professional musicians from diverse backgrounds performing myriad musical styles and repertoires. From Romeo and Juliet to Beethoven, our Classics Series will inspire and delight audiences of all ages. Kick-start your evening with our Espresso Series – a short shot of music with chamber performances of eclectic pieces. Enjoy happy hour followed by concerts that span genres, from films with live musical accompaniment to a celebration of all things piano. Award-winning professional pickers and harmony singers. Grammy-nominated groups and Bluegrass virtuosos. Each must-see performance pays homage to bluegrass music’s deep roots with a modern flair. The Kruger Brothers personify the spirit of exploration and innovation that forms the core of the American musical tradition. As one of Beethoven’s greatest works, the Spartanburg Philharmonic is thrilled to perform this earth-shattering symphony as we close out our season. Believe in the power of great music. 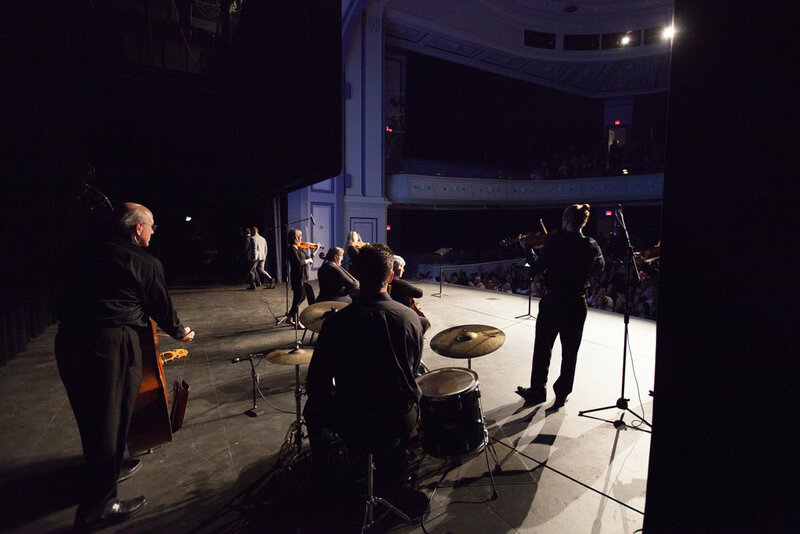 Your gift to the Spartanburg Philharmonic plays a vital part in our mission to enrich, inspire, and educate through live performances of high-quality music. Be the first to know about all things music with the monthly Spartanburg Philharmonic newsletter. Sign up below and stay connected.